Obituary for Anna Angelina Bowles | Maloney Funeral Home, Inc.
Anna A Bowles, 79, of Winsted, wife of the late William F. Bowles, passed away on Thursday, November 29, 2018. Anna was born in Winsted, CT, on August 31, 1939 to the late Patrick and Beatrice DiCaprio of Norfolk, CT. She was predeceased by her son Thomas P. Bowles and is survived by her two sons William F. Bowles II of Barkhamsted, CT and Francesco A. Bowles of Winsted, CT and her two daughters Deborah E. Darr of Pleasant Valley, CT and Fabiola Bowles Higby of Granby, CT as well as her companion Joseph Bandish of Torrington, CT and her grandchildren Hailey Darr, Marissa Darr, Quinn Higby, Madeleine Bowles, Katherine Bowles and Gabriella Bowles. 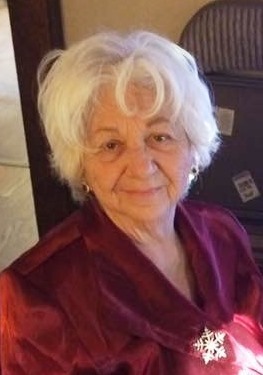 Anna was a lifelong resident of Winsted CT, and was a graduate of the Gilbert School, class of 1958. Anna was a sincere woman with a big heart. Her interests included her grandchildren, volunteering, collecting antiques, cooking, and art. Whatever activity Anna was involved in she was an active participant, sharing her time, and talents with all. The funeral service will be held and at the Maloney Funeral Home, 55 Walnut Street, Winsted, on Friday, December 7, 2018, from 5:00 – 7:00 PM.